yes, I’d like to receive your negatives files by mail. I’ll send you the files today or tomorrow. 1. One is able to increase/decrease the TIME and DUTY of the leds, thus being able to reach the a total amount of UV needed for any project. The countdown can’t be stopped. This was the idea from the beginning, in order to have the most accurate timing possible. You may modify the code though and look for a key press inside the countdown loop. If you get random numbers, it’s all good. Check that you have wired all the segments where they should be wired. Otherwise, you may modify the digits definitions so they match your wiring, in unsigned char seg. Vreau sa construiesc si eu o cutie de expunere si m-ar interesa daca aveti de vanzare numai timer-ul gata facut ? Nu am un timer suplimentar construit, insa nu este nici o problema sa construiesc unul. Daca te intereseaza, putem discuta pe email. Sigur ca ma intereseaza ,as vrea sa aiba si iesire pwm pt leduri sa pot regla intensitatea lor. Hi. Really like your design. Thank you for sharing. I want to make this to control the motors for a rotary etcher I am making. Would you mind sharing the eagle files? Thanks again for the fine work. I am sorry about the eagle files, there is a problem with the files and they cannot be read by regular eagle installs. Thank you for the quick response. Was a trying to save some time and avoid simple mistakes. Will recreate. 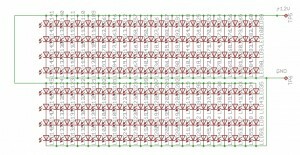 Any recommendation for common cathode vs common anode? there is no real difference between common cathode vs common anode, since polarities are handled by software. It just happened that I had an old common anode display when I built the first device and found only common cathode displays at the store while building the second one. 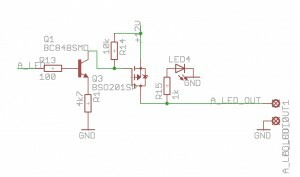 From a programmatic point of view, it just seems “right” to “set” a bit when wishing to light up a digit, so a common anode display is logically the choice – but as I said before, one can cope easily with the reverse logic. Hi. Built your circuit. Routing was a bit of a challenge but recreating the schematic was a quick job. Everything works really well but my piezo does not sound. Am using a 3N3P piezo. Can see the signals on the piezo pins when the routine is complete but no sound. The 10 voltage bursts are very quick driving the piezo so hard to measure. What voltage is actually provided? Also, the tact switch change over from PWM mode to countdown mode is extremely sensitive. If not pushed very quickly and just right the circuit goes straight into counting down. Overall great circuit. Thank you. 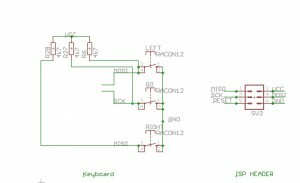 You should use a 5V piezo buzzer. A buzzer, not a piezo speaker. Concerning the switches, it is just a matter of adaptation. I agree they are a little bit tricky, but after a while you get used to them. HI. Yeah, figured out that a piezo will need a driver circuit. Had a buzzer in the junk box and that works well. Really a useful circuit. Thanks again. 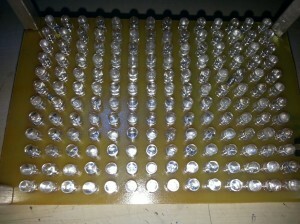 BTW, if you are interested I will send you some photos of my schematic and board. Used a different layout than yours as I had a specific space requirement. Also changed the components to include TVS protection and a little cooler 5V regulator. Please do. Anything different that can be useful to the community is welcome. Send me a word file with your article (and pictures) and I’ll publish it along with your credentials. Will do. How do I upload the images? I have created an author account for you, you should receive all info by email. Did not receive an email. Checked my spam and not there either. outlook.com is the cause. It is constantly blocking all my ip addresses without valid reason. Please send me your article by email at cristian.at.copcea.dot.ro, I do not block outlook.com users. Thanks for noticing this. I was probably more focused on the software than on other details. Please come back with a feedback after using the gizmo. 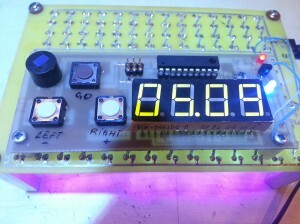 PCB exposure with UV Leds and digital countdown timer DIY from jun 23, 2014. You says: UV_Timer.c file and recompile with AVR Studio 4. 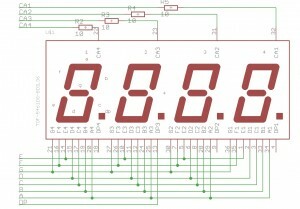 Is it not possible to do this with Arduino UNO? 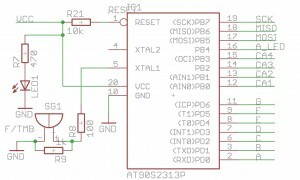 Arduino uno, yes, it can be done, but I think the whole logic has to be rewritten to match the Arduino Uno characteristics. 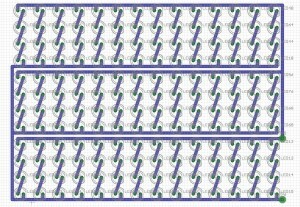 ← State Of The Art Single Layer or Double Layer DIY PCB Production with FR4 or aluminum substrate.